Following our review of the uniquely conceptual album Encounters, we were blessed with the opportunity to interview heavy metal extraordinaires BlackEternal to find out more about how the project came to be. Here’s the conversation in full. Hey – congratulations on the album, how long has this been in the making, and what inspired you to approach such a conceptual project? Thank you very much! We’re very excited to release Encounters this coming Friday Feb 8th. We started working on this album early in 2018 shortly after our first album 6EQUJ5 was released in Nov of 2017. I took a couple of months away from the studio, but I knew right away that I wanted to follow up our fist album with a ‘sequel’. Which is what Encounters really is. It’s a sequel to the story from our first album. The story almost wrote itself. I’ve been a metal head pretty much all my life, I started listening to heavy metal at a very young age. After listening to countless bands and albums growing up, I wanted to do something different, something unique that had never been done before. I wanted to tell a dramatic story, an epic story, which is how 6EQUJ5 and Encounters came to life. Would you say an interest in alien encounters drove this more or a passion for creativity and metal? Ah, that’s a tough question, much like I’ve always been into Heavy Metal my whole life, I’ve also been into UFOlogy and the paranormal / supernatural subjects just as long. I grew up watching Horror movies, UFO documentaries, TV shows about hauntings and the paranormal. I’m also a huge fan of the original Twilight Zone series. Also the old TV series Sightings form the early 90’s (I doubt anyone remembers that show anymore, haha!) So pretty much anything dark. I gained a passion for all of that at a young age. So, when it comes to writing lyrics, composing music and coming up with song ideas, for me it all goes hand in hand. Black metal is very dark so it all goes together very well. Will there be a set of visuals at any point to accompany these tracks? Its funny that you ask that, while writing the lines for Encounters parts I, II, and III and while I was directing my actors during their roles, I always had my own visuals in my head as to how it would look if these sessions were real. I would love to sit down with a camera crew and re-enact everything that happened during those tracks / sessions in the album. That would be amazing. Maybe somewhere down the line that would be a great project to work on. I would love to do something like that. To release a short video series of those sessions. We hear that on top of being a full-time network engineer, you’re also a Mixed Martial Artist. How do you find the time for BlackEternal? I’m also a full-time father to a happy, energetic 3-year-old boy. It’s very hard to find time! LOL. I started my MMA career when I was in my early 20’s. I trained for many years in Brazilian Jiu-Jitsu, Wrestling and Muay Thai kickboxing before competing. I had a good career in MMA for over 12 years, won lots of good fights, gained lots of experience, and I even got to train some great students along the way. However, my injuries and my age have started to catch up with me. These days I get into the cage for sparring once maybe twice a week if I’m not dealing with an injury. Between long work hours, MMA, my son, and life in general – it’s hard to find time for much else. The thing about having a passion is that you MAKE the time. Countless nights I’ve been wide awake in my home studio at 1 or 2am working on the album knowing my alarm for work is going to go off in a few hrs, so it can get hard, but we make time for what we love to do. Have you had any personal encounters with extra terrestrial life? Personally, besides seeing some strange things in the skies a few times, I’ve never had any weird encounters or experiences. My life is too boring for that! LOL. No, I’ve never experienced anything, and I can honestly say that’s a GREAT thing. I can only imagine that experiencing something like that would have to be the single most terrifying thing, something like that could scar a person for life. I’ve been a self-proclaimed UFOlogist for many years, so the topic itself is what fascinates me. I also do a lot of reading on astronomy, other galaxies and the universe. To me, it all ties in together. With the vastness of this universe, with so much out there to be explored, with so much out there that we don’t know, I find it impossible that we’re the only intelligent life out here. I truly believe that there is something else out there. Someone else in a different part of the universe who walks outside and looks up at their stars and wonders the same thing we do…“who else is out there?”. What do you hope people take away from this album? I think the most important thing that an artist wants, is to be understood. For someone to understand what they were trying to do. For someone else to say “I get it. I totally get it” – For me, THAT is the most important thing with Encounters. I would love for someone to understand the story, to follow the story and to feel that they were on a journey from start to finish. I know this album is very different from the usual black metal albums you hear out there, and I know a lot of the average head bangers won’t have the patience for it, but for those who do, I want to say Thank you. I’d love for someone to really listen and take in the story, read the lyrics and understand what I was trying to accomplish here. What’s next for you as a band? BlackEternal will be very busy going forward. I’ve already started pre-production on our 3rd album which will be entitled Darkness Embrace That will also be a concept album. The story will be about a haunted castle and the malevolent demonic spirit haunting it. I already have some songs written and compositions for it. 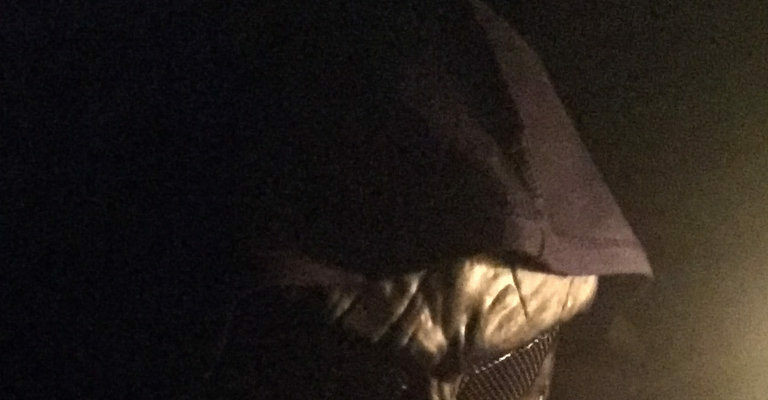 That album will most likely be ready for release in early 2020.After that, I will sit and completely re-record and re-master BlackEternal’s first album 6EQUJ5 There were tons of issues during production with that album, and im not happy with it at all. So I want to give it a new life and let it be heard the way I had originally intended. We definitely have a busy schedule planned. Yes, Absolutely. 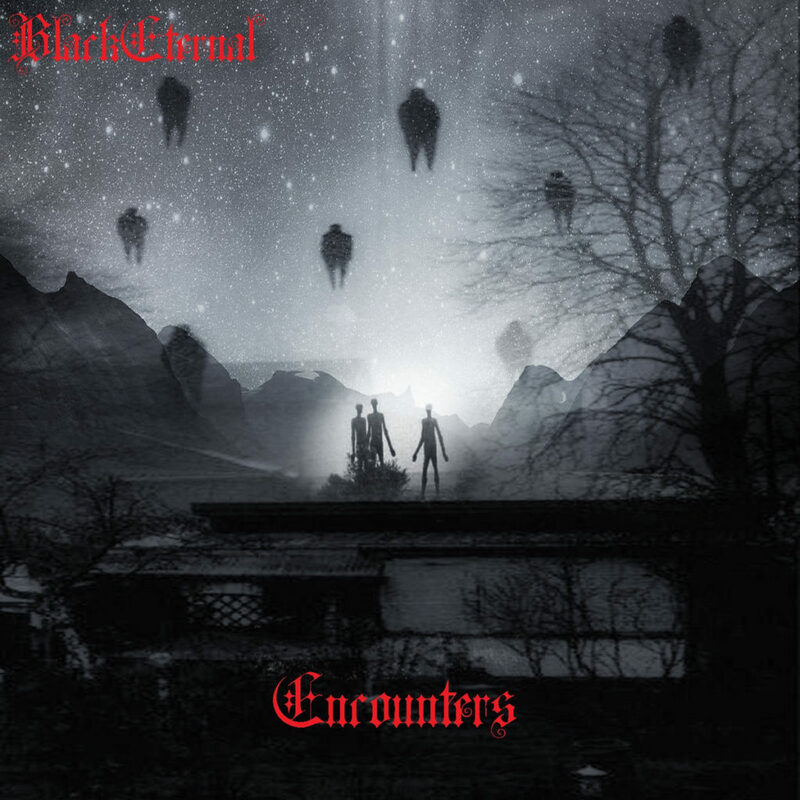 Please check out www.BlackEternal.com – Encounters will be released this coming Friday Feb 8th, we will be available on many online platforms such as iTunes, Amazon Music, Spotify etc. Our album will also be available on Bandcamp for free! Our music will always be free to our fans. I believe music is a gift, so please check us out and follow us on Facebook. BlackEternal is already back in the studio working on our next album. So stay tuned for our next story! Lastly, I just want to say thank you to Rebecca Cullen and to Stereo Stickman for giving us the time!